Whether you run a convenience store, a restaurant, or a sprawling campus, you are always looking for ways to trim some money off the monthly budget. One of the best ways to do that is to find yourself a low-cost waste removal service that can get all your trash removed efficiently. 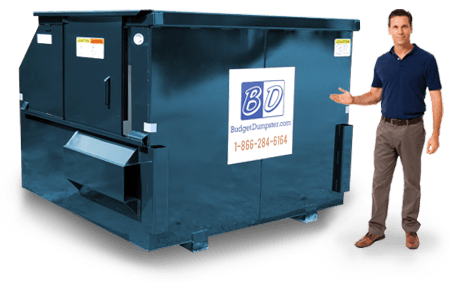 Fortunately for you, Budget Dumpster is here to offer affordable waste collection for all sorts of businesses in Madison. 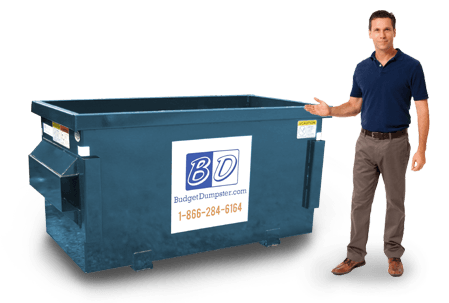 All you have to do is give us a call and we'll get you a quote, a dumpster, and a collection schedule that fits your business' needs. Here at Budget Dumpster, we put you in the driver's seat. You can pick the best size option you feel is right for you and your business, and we'll jet it over to you right away. And don't think you have to settle for a predetermined schedule; we offer flexible pickup schedules that are designed to work around your busy days. So if you are in charge of a retail outlet, restaurant, or other heavily trafficked business, you can make sure your trash pickup isn't going to get in the way of paying customers. 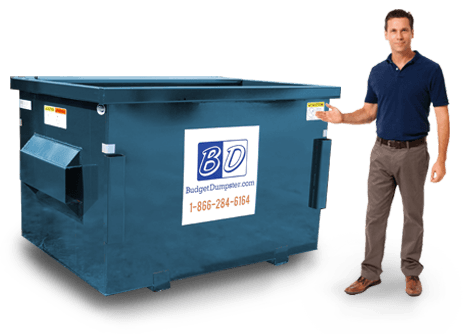 Just give us a ring and we'll get your commercial dumpster service set up for you in a jiffy! Which Businesses Can Use a 2 or 4 Yard Dumpster? 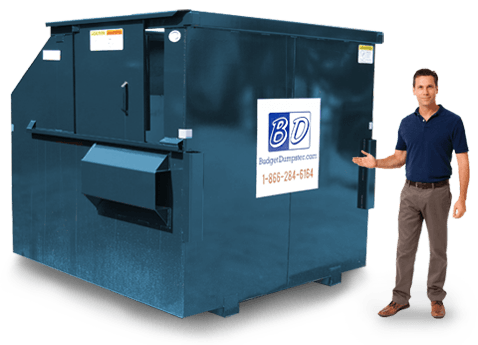 The 2 yard commercial dumpster is ideal for properties with a limited amount of space. So if you manage a small restaurant or a small auto-repair shop, you will want to take a look at this front load dumpster. It is only 3 feet high which means it's easy to dispose waste. But just because this is a small unit doesn't mean it's not capable of holding waste. It can hold between 600 to 800 lbs., perfect for businesses with a small waste stream. The size of the 2 yarder makes a small footprint that leaves plenty of room. This is by far the best space-saving and wallet-sparing option for small businesses. The 4 yard commercial dumpster is our most versatile unit; it is used for a variety of businesses. It can accommodate offices and restaurants that have small-to-medium waste streams. This front load dumpster can hold between 800 to 1000 lbs. of waste which is equivalent to two pickup trucks worth of debris. It can even handle those occasional bulky materials you seldom come across. If you manage an apartment complex, this unit will be convenient to have for moving day. Even though this dumpster is a bit bigger than a 2 yarder there should be a problem for placement. It is a great in-between size that will be able to accommodate your waste stream and placement options. What Can My Business Do With a 6 or 8 Yard Dumpster? The 6 yarder is where it starts for our larger selection of commercial dumpsters. These enormous dumpsters are known as the "all-arounder." You can find it anywhere. Grocery stores, behind strip malls, apartment complexes, you name it, it's there. It can hold between 1200 to 1400 lbs. of trash and is equipped with an accessible sliding door. So if you manage a grocery store we've got you covered. No more lifting heavy trash bags over your head. We make disposing of waste easy for you. Now we're on to the big daddy of them all. The 8 yard commercial dumpster is the largest unit we offer. It's commonly found at distribution centers and large commercial settings. This gigantic dumpster can hold 1400 to 1600 lbs. of waste. Can you imagine the possibilities? You can finally throw all of those bulky materials you've been hoarding. Say goodbye to those wood pallets, desk chairs and other miscellaneous items taking up space.